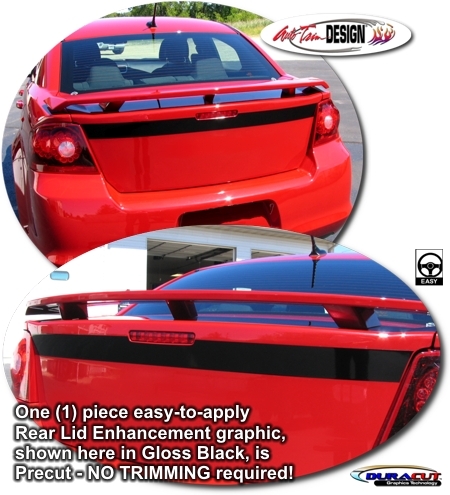 Trick out your '08-'14 Dodge Avenger with this simple yet stylish Rear Lid Enhancement graphic kit. Easy-to-install kit is contoured and fit for the Rear Lid area of the Avenger as shown. This kit is specifically made for the '08-'14 Dodge Avenger and will not fit any other vehicle.